The Magna Grecia is a small intimate boutique hotel with an Acropolis view in the prime central location of the Plaka district. 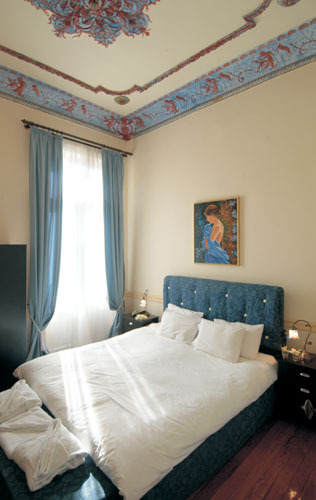 The neo-classical building now housing the Magna Grecia Hotel was originally designed by the German Architect Ernest Schiller in 1898 and renovations reflect the architectual philosophy of that era with high ceilings and wooden floors tinted with original paintings. The total renovations combine all amenities and comforts that the modern sophisticated traveler has come to expect while maintaining its authentic style and character. 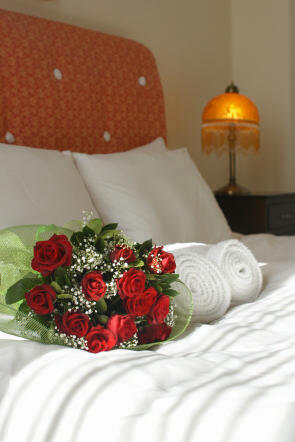 In Magna Grecia hotel you will find everything to need in turn to enjoy unique moments of high-quality life. Rooms are decorated with the luxurious simplicity of the natural aesthetic, with calm and earthly colours that offer a peaceful, soft and calm environment. With high bolection ceiling-roof and wooden floors tinted with original paintings, equipped with natural furniture, mattresses, coco-mat and everything the essential for an exceptional stay. 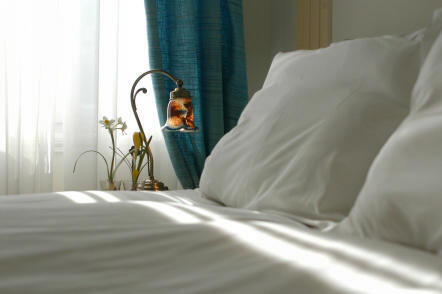 Housed in a late 19th century, neoclassical building in the historic centre of Athens, the Magna Grecia Boutique Hotel enjoys an excellent position in Plaka district, just 200 metres away from Syntagma square. 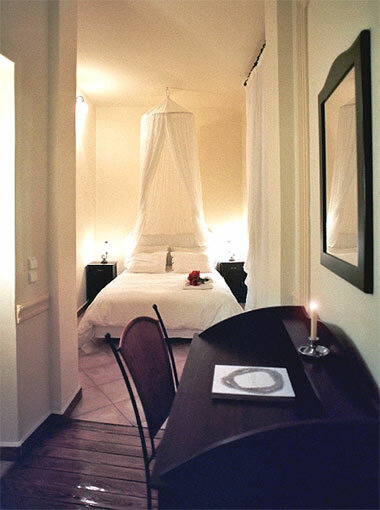 If you are familiar with MAGNA GRECIA BOUTIQUE HOTEL, please share your opinion of it with other travelers. Write a review! The existence of "such" hotels is very important for refreshing our memory concerning our history and concerning the architecture style of some historical buildings as the one where Magna Grecia is located which is a building of 1900 of Ernst Tsiller with high ceilings and sculptured by hand! 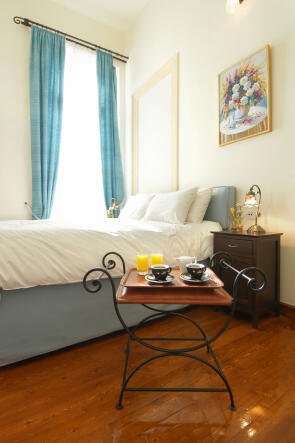 The rooms are very spacy with antique furniture, smooth light and all comforts! 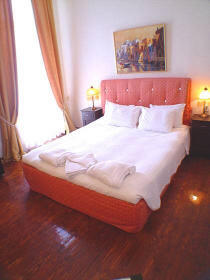 I have never slept in a more comfortable bed as the one in Magna Grecia hotel! Fully cocomat linen equipied! Toilet amenities and bathrobes can easily fulfill all needs! The hotel offers a rich breakfast with a total view to Acropolis and during summer days is a splendid outing for a drink or a light meal! The location is gorgous!! In the heart of Athens centre like Ermou, Syntagma, Omomoia, Plaka! The underground is just a few steps away from the hotel, you can find taxi just outside the hotel! The owners Mister Savvas & Stelios Ioannides (father & son) are very nice people and they have a high sense of an excellent service! 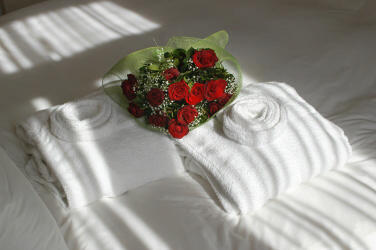 very beautiful touch is the offer of a pair of cocomat sleepers the time of your departure from the hotel! Fantastic location and really wonderfull boutique hotel. 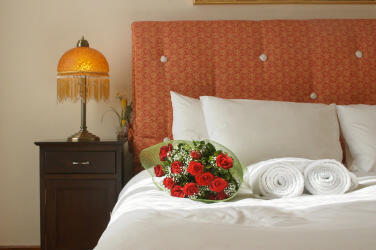 Beautiful hotel, excellent location in the heart of the Plaka. 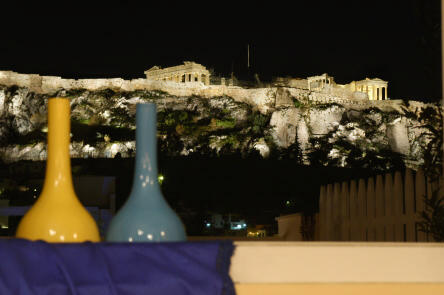 Beautiful view of the Akropolis from the roof garden. 10 minutes stroll to Syntagma Square.Very friendly and helpful staff. Highly recommended.